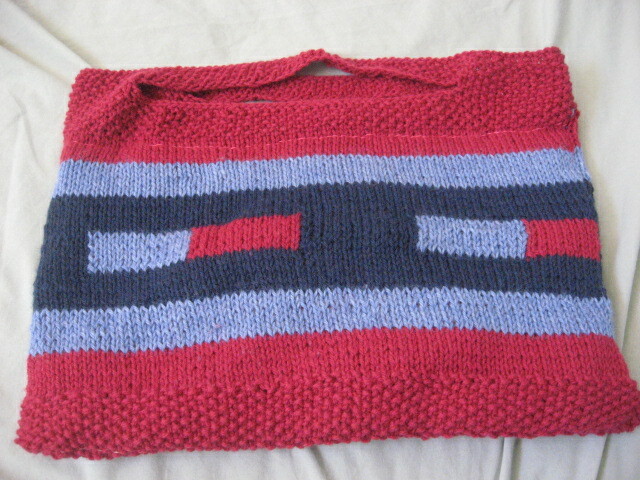 Looking back through my projects, I found this tote that I made a few years ago. 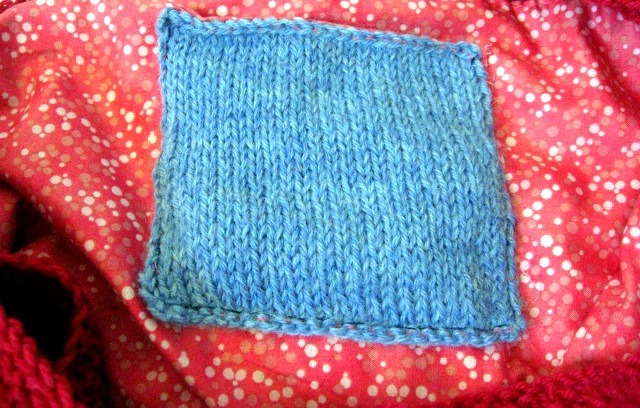 Just a simple knitted tote to hold my projects, with a little pocket I sewed on the inside for my smaller things. Thinking about it, I realize I have a lot of fabric left over from my knitting projects…What do you think I should make with it?